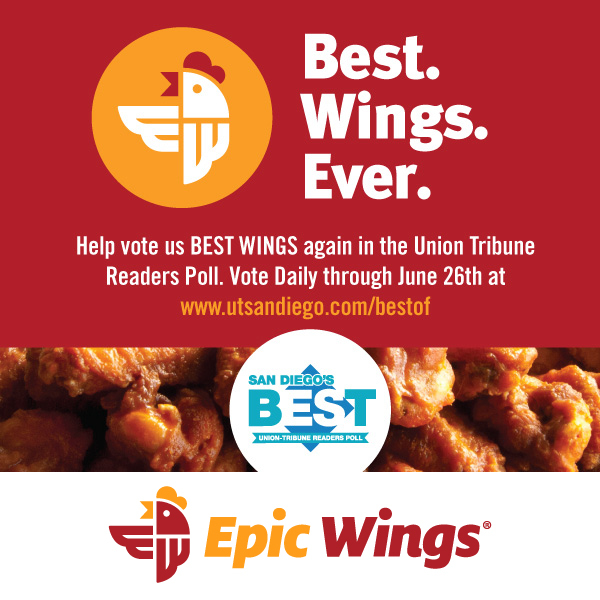 Can you help vote us Best Wings again? The San Diego Union Tribune Best Of is THE top poll for the best food in town. We’ve won Best Wings for the last five years. Can you please help us make it six? Click on the image below to vote, daily between now and June 26! We’ll have a special thank you for our fans if we win again!